Torri Brooks | Edelman Wealth Management Group, Inc.
Torri's primary responsibilities include scheduling and preparing for client review meetings, handling client service requests and facilitating the processing of business. She is responsible for maintaining the Customer Relationship Management (CRM) system ensuring that data is accurate and complete. 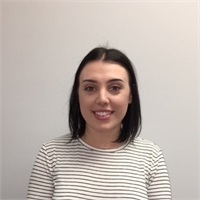 Torri has been in the financial services industry for four years where she has worked in a variety of different operations and client service roles. Prior to her work in the financial services industry, Torri spent six years at a document management and data storage company where she worked in client services, focused on quality control and data analytics. She prides herself on her excellent organizational skills and timeliness to requests. She has a passion for baseball and watersports and enjoys spending time with her pet rabbits and attending concerts.